I think this guy likes God of War. A lot. 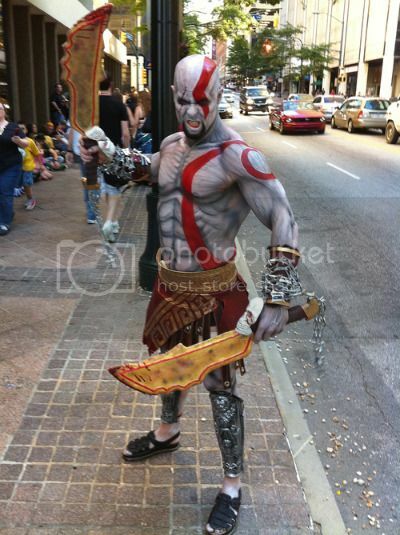 Via Kotaku, who wants to play this guy’s fake abs like a xylophone. This guy was at DragonCon… let alone the awesome visual (you can’t tell in the picture, but he’s over 6′), he also had the voice down and everything. It was pretty impressive all round. Actually, I took his picture at Dragon*Con and he told us he’s never played it and knows nothing about it — he simply wanted to cosplay a big bald dude. This kind of cosplay usually bothers me, but he did such an awesome job I kinda had to forgive him.